Machine learning jobs contain the configuration information and metadata necessary to perform an analytical task. They also contain the results of the analytical task. 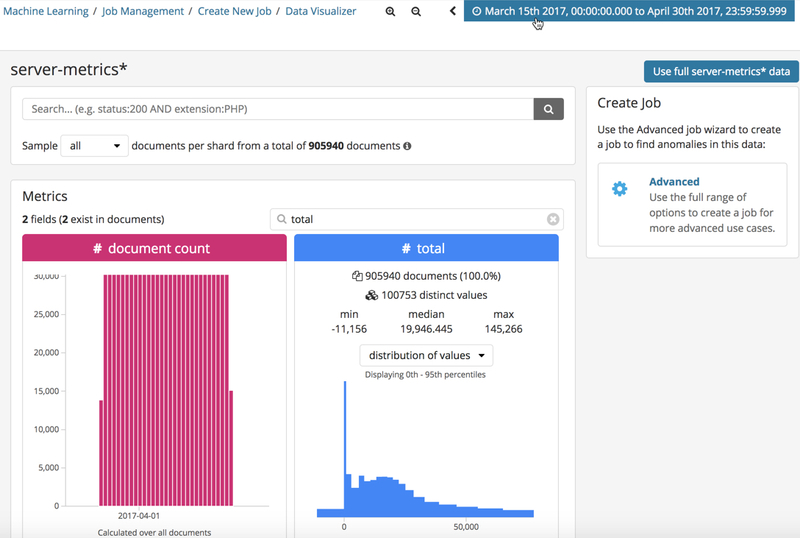 This tutorial uses Kibana to create jobs and view results, but you can alternatively use APIs to accomplish most tasks. For API reference information, see Machine Learning APIs. 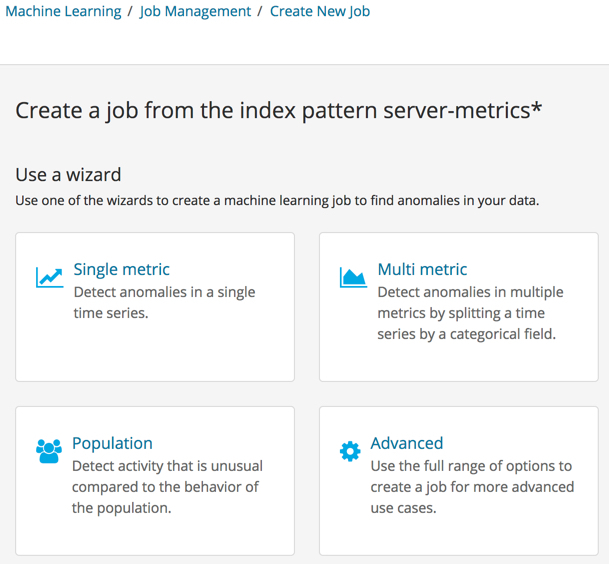 Kibana provides wizards that help you create typical machine learning jobs. For example, you can use wizards to create single metric, multi-metric, population, and advanced jobs. Click the server-metrics* index pattern. If you are not certain which wizard to use, there is also a Data Visualizer that can help you explore the fields in your data. 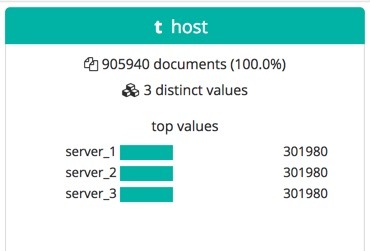 Select a time period that you’re interested in exploring by using the time picker in the Kibana toolbar. Alternatively, click Use full server-metrics* data to view data over the full time range. In this sample data, the documents relate to March and April 2017. Optional: Change the number of documents per shard that are used in the visualizations. 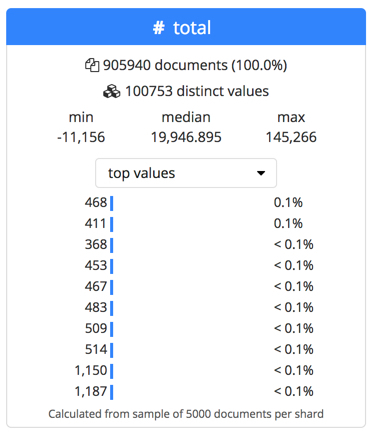 There is a relatively small number of documents in the sample data, so you can choose a value of all. For larger data sets, keep in mind that using a large sample size increases query run times and increases the load on the cluster. The fields in the indices are listed in two sections. The first section contains the numeric ("metric") fields. The second section contains non-metric fields (such as keyword, text, date, boolean, ip, and geo_point data types). In this tutorial, you will create single and multi-metric jobs that use the total, response, service, and host fields. Though there is an option to create an advanced job directly from the Data Visualizer, we will use the single and multi-metric job creation wizards instead.